We've created a new list of the top 10 penny stocks in 2016. These stocks have all posted gains of at least 190% or better year to date, with the No. 1 penny stock in 2016 climbing nearly 1,300% YTD. Penny stock investing can be risky. 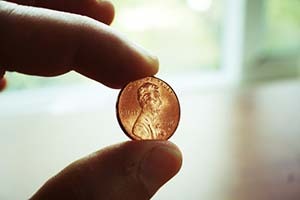 A good portion of that risk, however, comes from penny stocks that trade over-the-counter or on the Pink Sheets. OTC penny stocks aren't required to report the same level of financial information as stocks that trade on more reputable exchanges, like the Nasdaq, NYSE, or NYSEMKT. That's why the top 10 penny stocks we're about to show you all trade on either the Nasdaq, NYSE, or NYSEMKT. You can also avoid additional risk from trading penny stocks by checking out the video below, which talks about the three best strategies for penny stock investing. Now let's look at our top 10 penny stocks list, with our No. 1 penny stock boasting gains of nearly 1,300% YTD. CLF stock is up 194% YTD. Cliffs Natural is a mining and natural resources company that supplies iron ore to the steel industry in North America. CLF shares started the year at $1.58 and are now at $4.66 as of June 27 intraday. GPL stock is up 195% YTD. Great Panther is a silver mining and precious metals exploration company. It mostly operates in Latin America. GPL shares started the year at $0.51 and are now at $1.49 as of June 27 intraday. FMSA stock is up 197% YTD. Fairmount sells sand-based proppant solutions, which are often used by hydraulic fracturing companies. Its sand products are also used in building products, turf and landscape, and filtration. FMSA shares started the year at $2.35 and are now at $6.99 as of June 27 intraday. DRD stock is up 240% YTD. DRDGOLD is a South African gold producer that recovers the metal from the retreatment of surface tailings. DRD shares started the year at $1.60 and are now at $5.44 as of June 27 intraday. HMY stock is up 265% YTD. Harmony Gold is a gold mining and exploration company that operates in South Africa and Papua New Guinea. HMY shares started the year at $0.93 and are now at $3.40 as of June 27 intraday. AXU stock is up 288% YTD. Alexco operates in two segments: a mining business that operates mainly in Canada and also an environmental services segment that helps with environmental permitting and compliance. AXU shares stated the year at $0.34 and are now at $1.32 as of June 27 intraday. CDE stock is up 297% YTD. Coeur mining is a gold and silver producer that operates out of several different countries, including Australia and New Zealand. CDE shares started the year at $2.46 and are now at $9.84 as of June 27 intraday. CCCR stock is up 371% TYD. China commercial provides financial services in China and offers direct loans, loan guarantees, and leasing. CCR shares started the year at $0.34 and are now at $1.55 as of June 27 intraday. VGZ stock is up 560% YTD. Vista is involved in the gold mining industry. The company operates in three different segments: evaluation, acquisition, and exploration activities. Its mining activities are mostly focused in Australia and North America. VGZ shares started the year at $0.29 and are now at $1.83 as of June 27 intraday. MGT stock is up almost 1,300% YTD. The holding company operates mostly in the online and mobile gaming space, although it's recently begun exploring the software security sector. The company recently hired legendary antivirus software-maker John McAfee as its new chairman and CEO. MGT shares started the year at $0.27 and are now at $3.24 as of June 27 intraday.